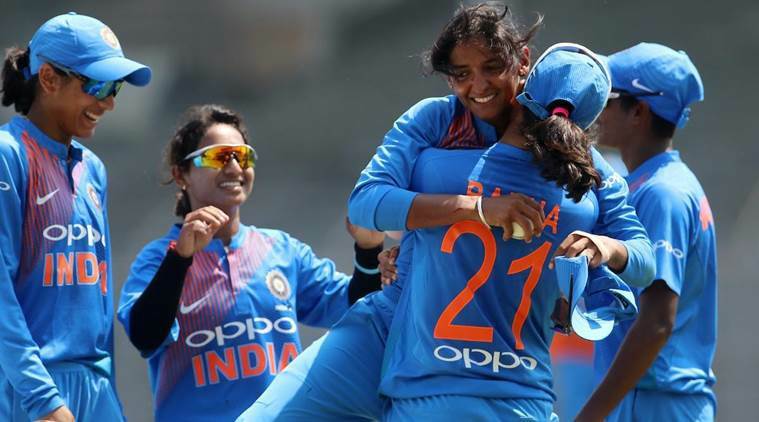 In the opening match of ICC women's T20 world cup, between India and New Zealand which was played in Guyana in the West Indies. Team India captain Harmanpreet Kaur has created history by scoring a stormy hundred. 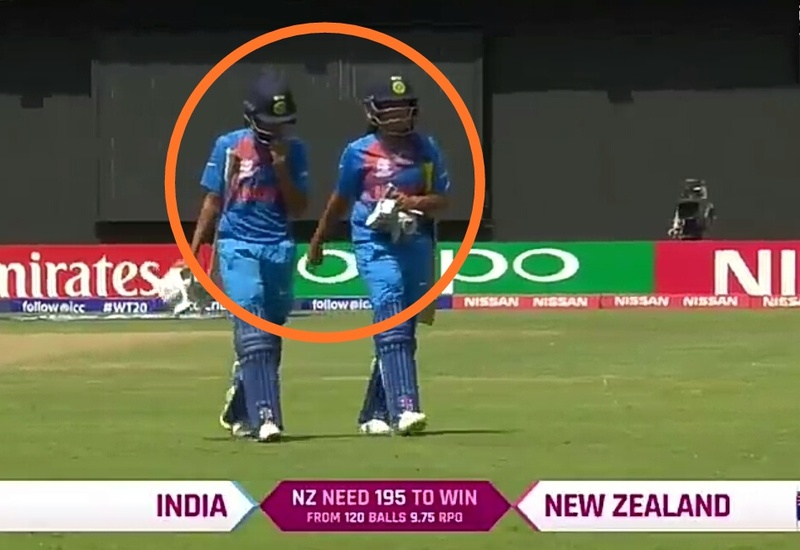 With the help of Harmanpreet's historic century, Team India defeated New Zealand by 34 runs and started their World Cup campaign on a very strong note. After winning the toss, captain Harmanpreet took the decision to bat first. Seeing the initial conditions of Team India, it seemed as if the decision of the batting first being taken by the captain might turn out to be wrong, as India lost 3 wickets for just 42 runs. Batting ahead of many veterans batters at number three Jamiem Rodrigues added a recording breaking stand of 134-run for the 4th wicket along with captain Harmanpreet Kaur. Rodrigues scored 59 off 45 balls, Harmanpreet scored 101 runs in 51 balls. And India scored 194/5 in the given 20 overs. 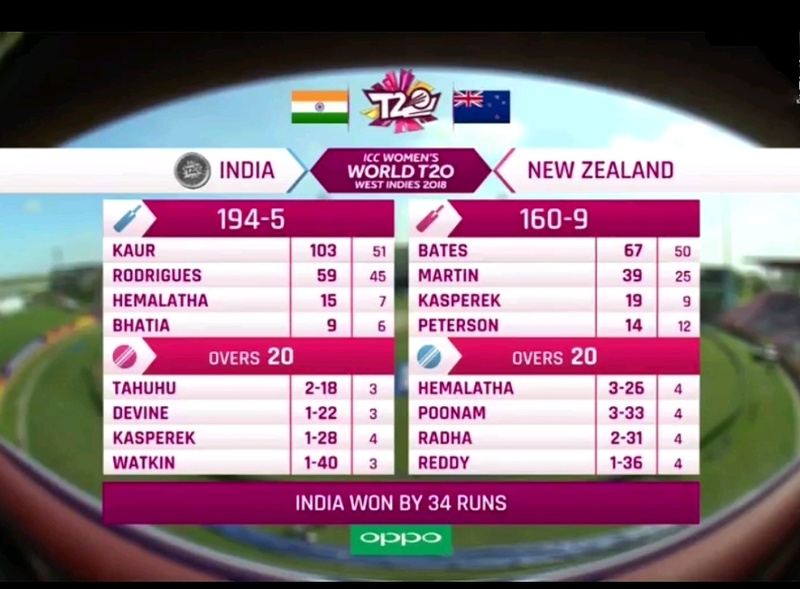 The Indian bowlers bowled well and didn't allow the Kiwi batsmen go free their arms easily. Suzie Bates top scored with 67 and Katie Martin scored 39. The whole team could score only 160/9 overs and lost the match by 34 runs. 1. Harmanpreet became the first woman batsman to score a century in the Women's T20 World Cup. 2. 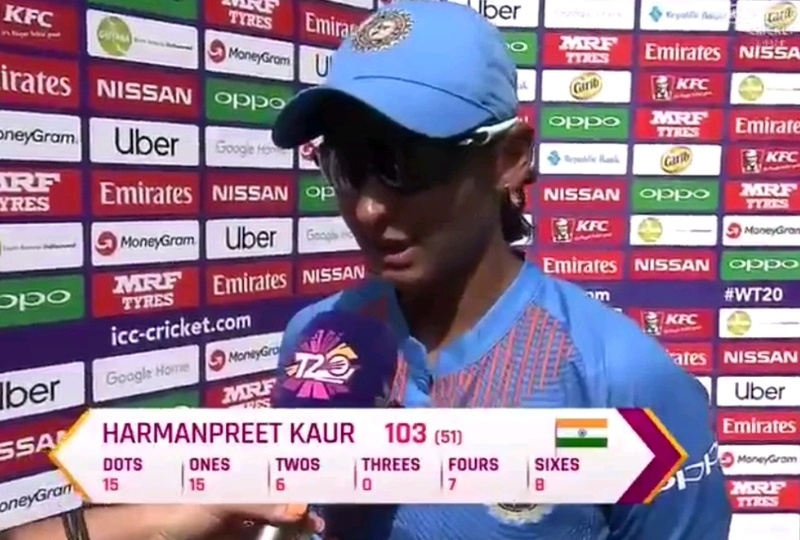 Kaur has become the third player to score a century in the T20 World Cup. 3. 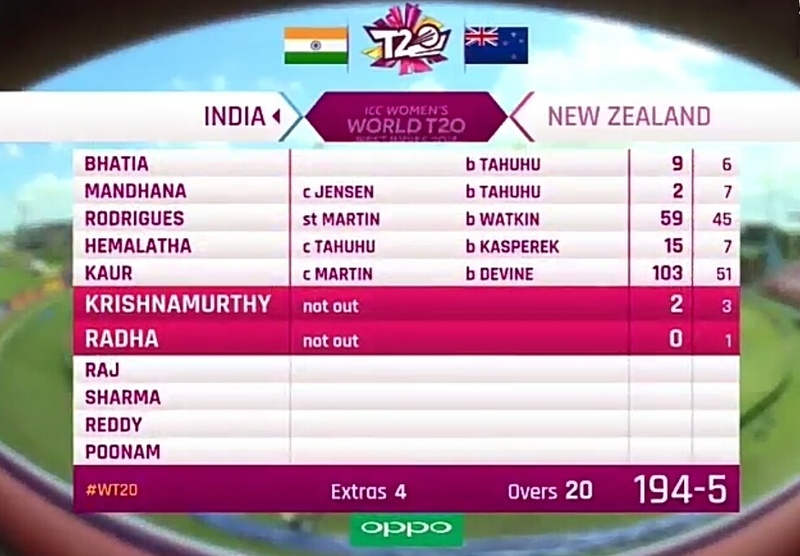 In the T20 World Cup, Harman becomes the third female player to hit the most six in an innings. 4. 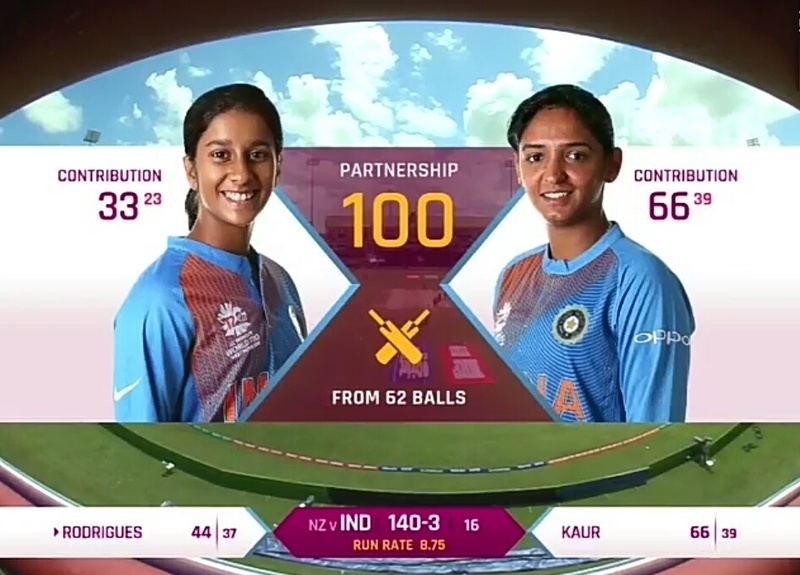 The partnership which came between Kaur and Rodrigues of 134. It has become the highest stand in the WT20. 5. 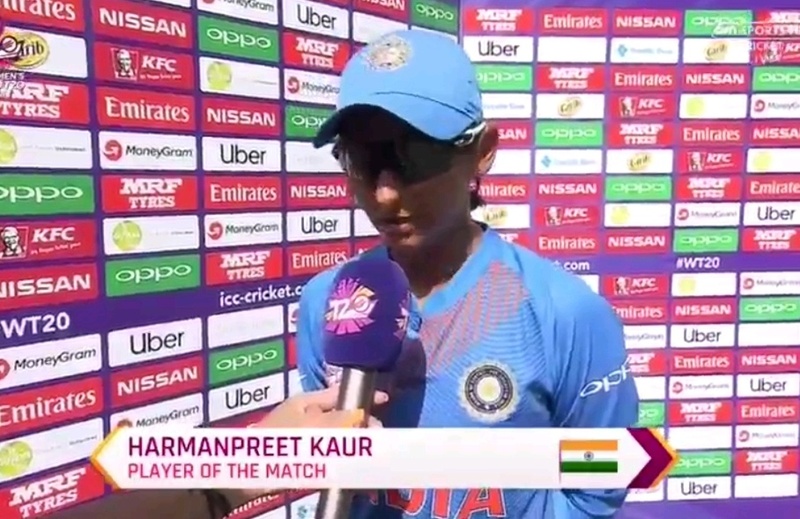 Harmanpreet Kaur becomes India' s first player to score the highest individual score in T20.